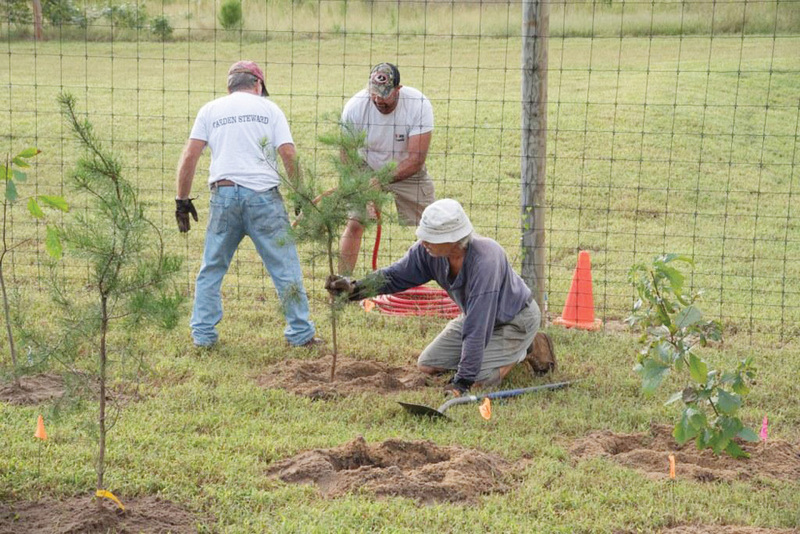 The Delaware Forest Service’s Urban & Community Forestry Program awarded $5,000 to fund the tree planting. DBG provided a 50/50 cost-share match with in-kind services, including DBG volunteer time, equipment and donated supplies. He said the 270 trees included white oaks, eastern red cedars, chestnut oaks, loblolly pines and Virginia pines, to provide an attractive and varied screen along the DBG roadfront.